You enjoy your job, love your company and are ready for more responsibilities, new opportunities and, oh yeah, more money. 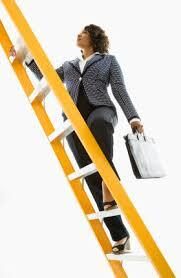 It’s rare for employees to be automatically promoted based on seniority or time spent in the job. Regardless of your organization, there is no doubt a process to get promotions. Know your Strengths and compare them against the job postings or descriptions you want. What are the keywords and themes of this job? If you have an internal resume, are those key words listed? Internal recruiters will search for them just as external recruiters will. Showcase your accomplishments in your current role. Arm yourself with several examples to demonstrate your successes and be able to respond to anticipated questions. Be prepared to speak to what you have done so far, whether it is in an interview, in the elevator or at the company picnic. Provide a summary of the situation, what you did and the results. Quantify your accomplishments with metrics such as scope of responsibility, number of people involved and impacted and monetary results – whether you saved money or increased revenue. Be prepared. Far too often I’ve interviewed an internal candidate who was not prepared, resting on their laurels and much too comfortable. Don’t assume everyone knows your value, especially in large companies. Take advantage of your insider status to anticipate questions based on your knowledge of the business and its challenges. As an employee of the company, you would be expected to know the competition, impact of changes and be able to speak to these topics as well as ask questions regarding them. Often this factor, alone, can be your competitive advantage or your demise. Read company financial reports, quality results and/or customer surveys. These may be found on your internal company website or simply by googling. If you can’t find anything, ask. Your initiative will make a positive impression. Talk to others. If the promo is in another department, seek out leaders and employees who can familiarize you with their specific work and issues. Don’t disappoint your current manager. Again, you are expected to know more about the organization than external candidates. How you perform in the interview also results in an impression toward your current manager and how well s/he has developed you. Make ‘em proud. Check out the competition (internal) If you can predict or know who might be pursuing the same promo opportunities, be able to differentiate your unique skill set and transferability skills to demonstrate why you are most qualified and should be promoted. Can you lead your peers? In many cases, you may be interested in advancement within your current department. It can be quite a change and challenge to manage those who are now on your level. Your biggest challenge: relationships. If you are promoted to management, you will need to distance yourself. Though tough to do, you may have to modify your friend status on Facebook. No one said it would be easy but it can sometimes be easier to get promoted within your existing company vs. start all over in a new organization. With these tips, know yourself, prepare yourself and showcase your talent. ← Missing Something on your Linked In Profile?